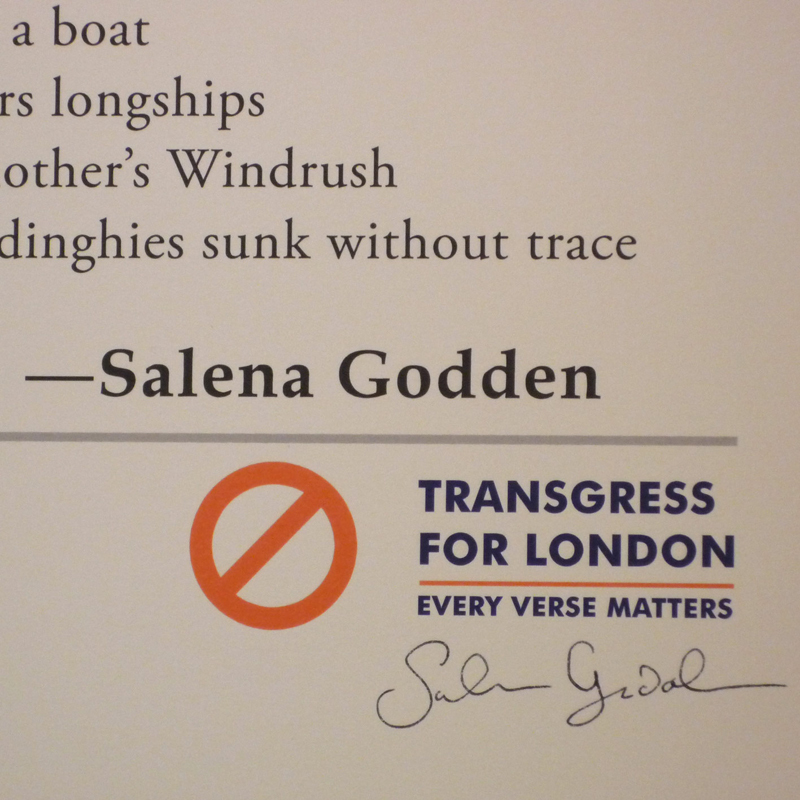 Underground Poems is an erratic series of signed, limited edition, large format poetry broadsides, which some say bear a passing similarity to other more commercially minded posters found dotted around London's transport system. This is pure coincidence, of course. 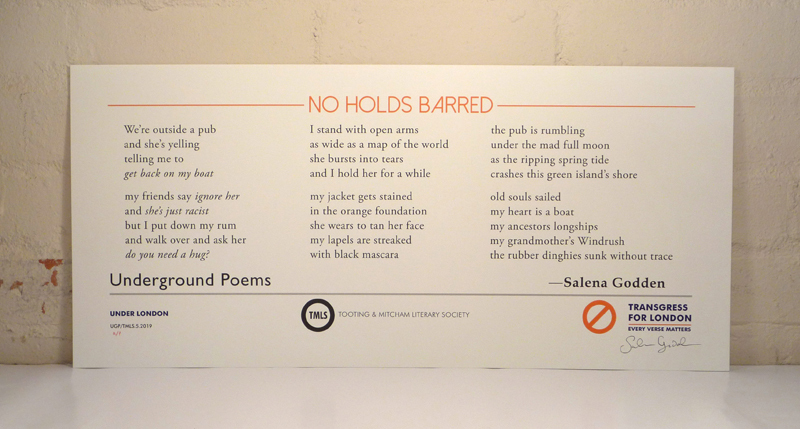 'No Holds Barred' by Salena Godden is #5 in the series. This is a brand new, previously unpublished poem. First appearance anywhere. Dimensions: 610mm wide x 280mm tall / approx. 24" wide x 11" tall. Indigo printed onto heavyweight natural archival paper. Suitable for framing. Concept and design by Mick Khartoum. 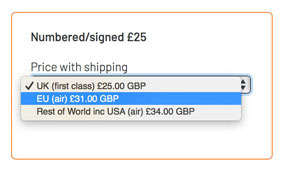 Shipped in sturdy cardboard tubes. No copies were sent out for review. 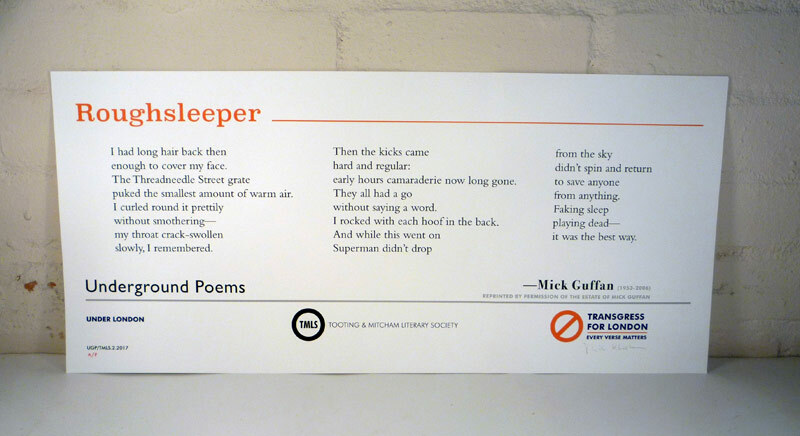 Underground Poems is an erratic series of signed, limited edition large format poetry broadsides. 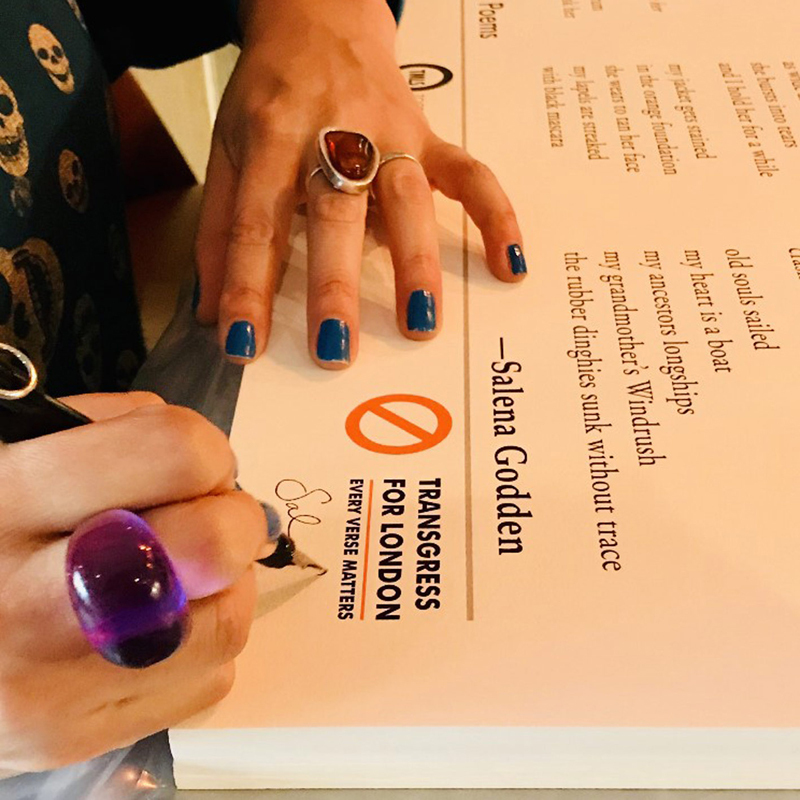 Salena Godden is one of Britain’s foremost poets whose electrifying live performances have earned her a devoted following. Her latest poetry collection, Pessimism is for Lightweights, was published by Rough Trade Books in July 2018 in the first Rough Trade Editions series. The poem ‘Pessimism is for Lightweights’ is currently a pubic poetry art piece and is on display outside the Arnolfini Gallery, Bristol. Pessimism is for Lightweights was in the Rough Trade Top Ten Books of 2018. 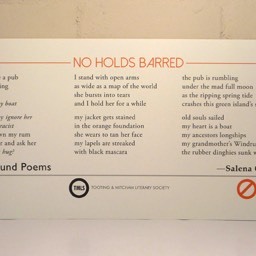 Earlier books include the poetry collections Under the Pier (Nasty Little Press) and Fishing in the Aftermath: Poems 1994-2014 (Burning Eye), and the literary childhood memoir Springfield Road (Unbound). 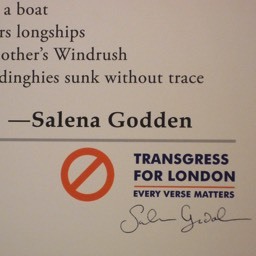 Her essay ‘Shade’ was published in the ground breaking and award winning essay anthology The Good Immigrant (Unbound). The live poetry album LIVEwire was released with indie spoken word label Nymphs and Thugs and shortlisted for the Ted Hughes Award.